Electromyography: is an electrodiagnostic medicine procedure for evaluating and recording the electrical activity formed by skeletal muscles. 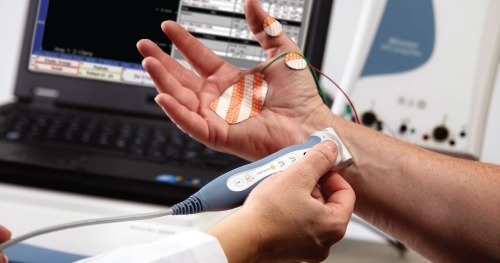 EMG is performed using an instrument known as electromyograph to produce a record called an electromyogram. There are currently no items matching "Electromyography".